Smooth Hound is the brainchild of Chris Fryer, an engineer who’s turned his talents to such disparate items as kidney dialysis machines and domestic gas meters. 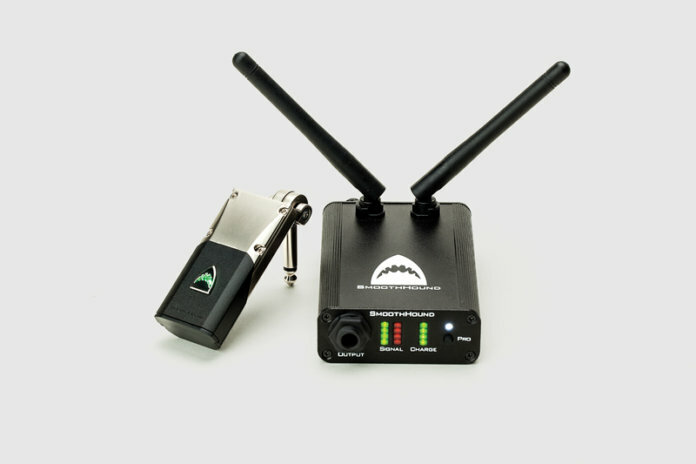 The Classic is a digital wireless system that works within the 2.4GHz ISM band and offers automated adaptive channel selection amongst its myriad features. The system comprises a lightweight K2100 receiver that sports two adjustable antennae, is powered by a 9V 150mA supply and features the rather ingenious K1100 transmitter. 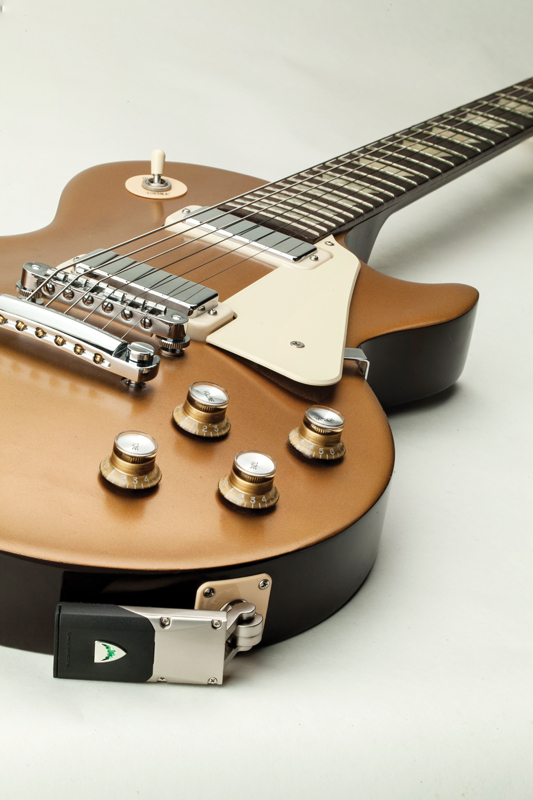 The transmitter incorporates an aluminium casing that takes a pair of AAA batteries and a hinged die-cast zinc jack that can move through 270 degrees to fit any electric guitar input. 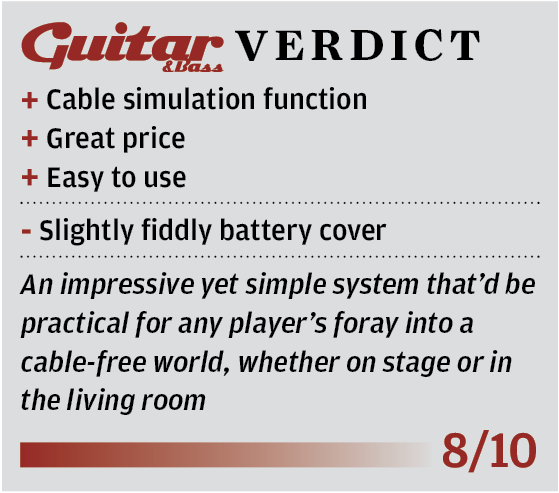 We tested it with a Tele’s cup input, as well as the input jacks of a Strat and a Les Paul, and it fitted perfectly. 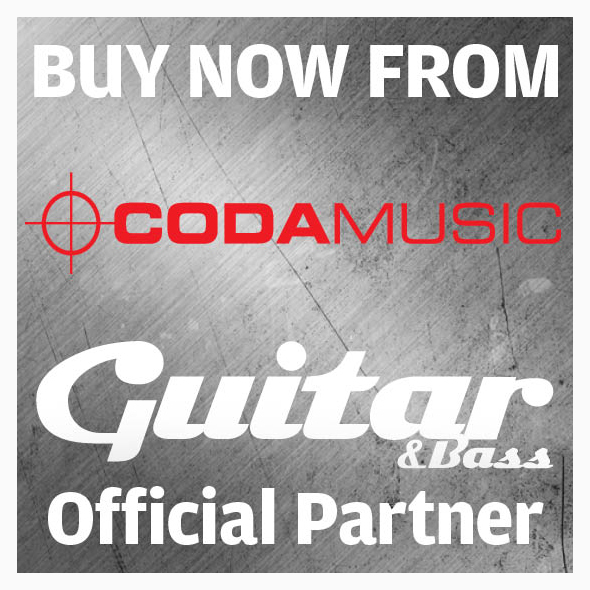 You can also secure the unit flush against your guitar’s body by affixing a piece of microsuction tape, included with the system, to the rear of the chassis. 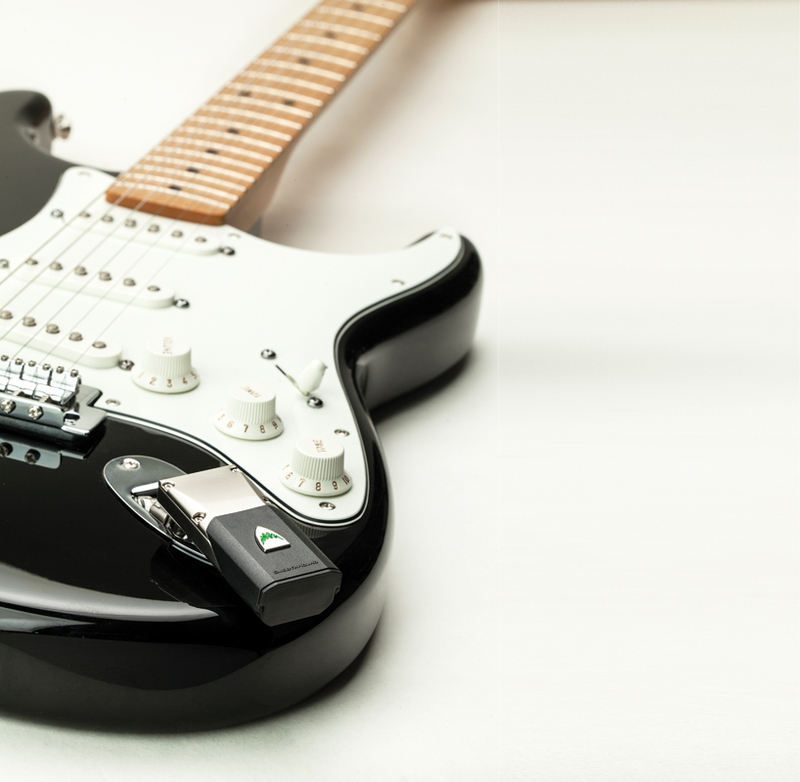 It’s a rather elegant idea and if you’d prefer to use the receiver as a belt or strap pack, Smooth Hound can also supply a female-to-female Neutrik quarter-inch jack adaptor to allow you to do so. You’ll just require a short cable to connect it. 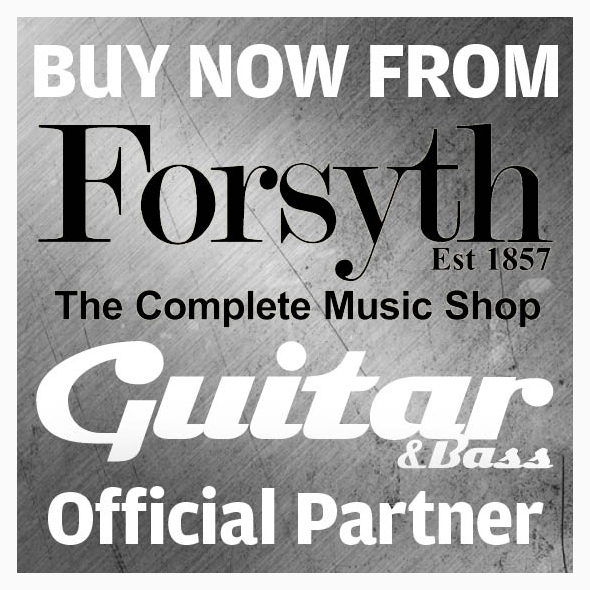 Additional transmitters are available for £79, and can be bound to the receiver via a simple set-up process. The receiver’s four-LED bar graphs depict charge and signal strength, and control mode, accessed via the Pro button, allows you to not only fine-tune any latency, but also the length of time it takes for the transmitter to power down during periods of inactivity. Most intriguing are three `cable’ tone settings intended to combat the adverse effect a wireless system can have on your tone. With cable tone off, the sound is brighter than using an 18ft Whirlwind Leader lead. All three of our Strat’s single coils display heightened treble, with the zing increasing as we up the amp gain; we find the same with our Les Paul’s humbuckers. It’s not unpleasant, but certainly noticeable. Scrolling through the cable tone function’s virtual lengths, christened 10, 20 and 30-foot, allows us to get our wireless tone in a cable-like ballpark. The settings incrementally increase warmth, and although the changes are subtle they do counteract the system’s influence. We didn’t need to touch our amp’s EQ, and if your rig is anything like ours – two good-quality 25ft cables and a few pedals linked with patch leads – we’d suggest starting with the 20ft setting and taking it from there. The system is a doddle to use and getting started is a case simply of connecting everything; the transmitter and receiver find each other out of the box. We experienced no noise or interference, and the 200ft range and 15 hours of battery life should be ample. 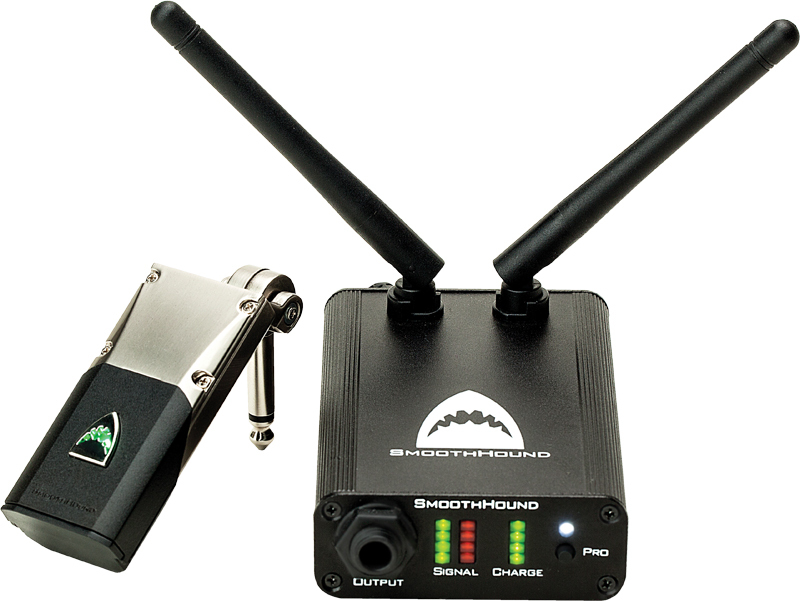 There are more advanced systems, but if you want to go wireless without any drama whilst retaining your tone, take this dog for a run.